Come live well with us! On-site banking hours and postal facilities services cut down on errands. Our gift shop make it easy to pick up small items you need. Two gracious restaurants and our casual coffee shop make dining out with friends easy and convenient. 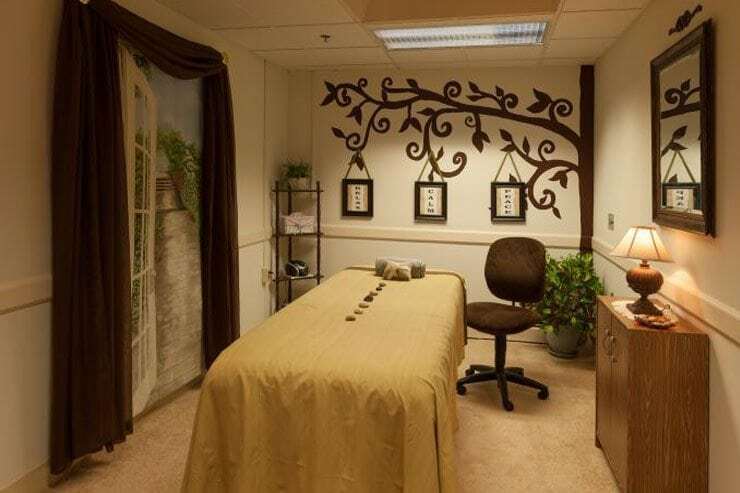 Beauty salon and massage therapy studio let you spruce up and relax. Library, meeting, and activity rooms give you space to explore, learn new things, and meet new people. Art studio, woodworking shop and other activity centers provide space for developing your hobbies and learning new skills. Body Shop fitness center is fully equipped to help you stay strong and active. Transportation services available both on campus and off-site. Walking paths, pond, and community gardens beckon you to enjoy the outdoors. On-campus worship services, Bible studies, and spiritual discussion groups feed the spirit. Engaging lectures, concerts, and other educational opportunities mean you’ll always have plenty of things to do—and lively, interested people to do them with. Should you ever need extra care, we also offer rehabilitation therapy, personal care, 24-hour health care, and memory support services as part of a seamless person-centered continuum of care. And if you’re the caregiver of a loved one who needs extra support, you may choose to make use of our respite care services, located right on our campus.